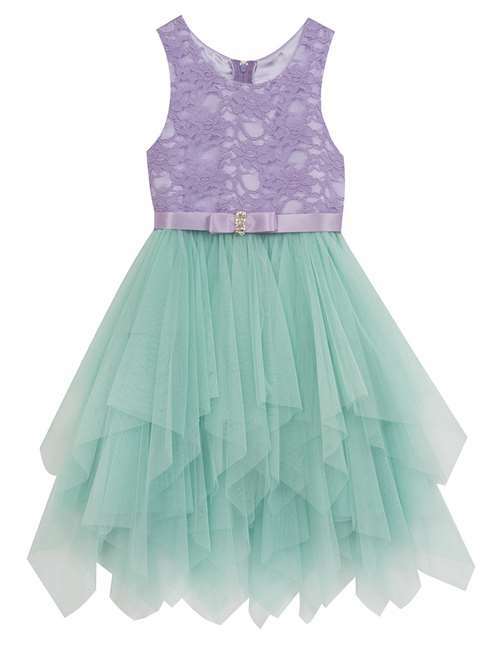 Beautiful girls party dress features purple lace bodice and soft mint tulle layered bottom. Very pretty and elegant dress! Back zip.